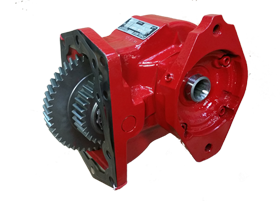 Welcome to Phoenix Exchange Inc.
We are your steering gear, pump, and fan clutch specialist! We are the fan clutch specialist! We remanufacture parts for offroad vehicles, forklifts, tractors, utility equipment, trash trucks and more! Welcome to Phoenix Exchange Inc. Located at 2412 Irving Blvd, Dallas Texas. Phoenix Exchange specialize in Quality Remanufactured Parts for Heavy Trucks, Buses, Construction, Excavating, Trash Disposal, Oil Field, Agricultural, Material Handling, Aviation Support and Industrial Stationary Equipment. We have over 75 Years of combined experience providing top quality remanufactured products and services at competitive prices. We build to OEM specifications and offer a limited one year warranty on most all of our remanufactured units. Our product lines include Complete Engines, Engines Overhaul Kits, Engine Heads, Complete Transmissions, Hydraulic Cylinders, Hydraulic Pumps, Main Pumps, Swing Drives, Track Groups, complete under carriage, other construction consumable items, Dump Pumps, Power Take Offs (PTO), Turbos, Air Compressors, Water Pumps, Fan Clutches, Power Steering Pumps and Gear Boxes. 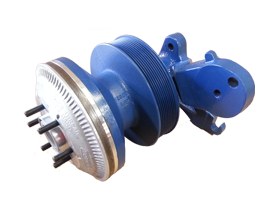 Fan Clutch Types include Pneumatic, Hydraulic, Electronic, Eddy Current, Viscus and Manual Direct Drives. We have a large inventory of brands such as Horton, Bendix, Rockford, Kysor, Borg Warner, Evans, Cat, GMC Oil Drive, Cummins, Spector, Kit Master, Linnig Kendrion. 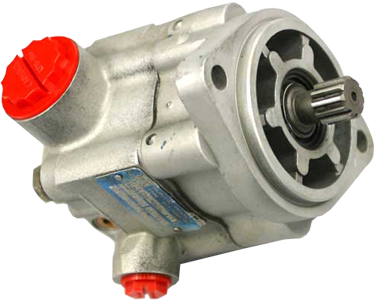 Our power steering pump inventory includes all major brands such as Eaton, Hobourn, Vickers, ZF Industries, Saginaw, Parker Hannifin, TRW and more. Phoenix Exchange has Distributor programs available in select areas and offer prepaid shipments on Qualifying orders. We accept all major credit cards, Cash, and Checks. We remanufacture parts for off road vehicles, forklifts, tractors, utility equipment, trash trucks and more. Call for more information. Let Phoenix Exchange put our years of experience to work for you. We provide remanufactured truck parts to a variety of truck repair facilities, including franchise and independent truck dealerships throughout North America, and also to independent truck drivers. We strive for a three hour turn around on products that require immediate remanufacturing, however, eighty-five percent of the of the time your order will be filled from our stocking inventory. Our user friendly website allows you to view general pictures of our remanufactured units and how to identify each unit as well as an application guide to steer you in the right direction. Also view our technical page which answers 90% of any questions you might have on our steering gears. After viewing our site, feel free to contact us with any of your questions regarding your needs.